Tony Thomas: Although this is a pocket essay, I hope you have a big pocket. Some nitty-gritty about this landmark court case can’t be avoided. The case clarified that in SA, the law was against any ‘stealing’ of half-castes, and that the authorities cracked down when they discovered informal ‘adoptions’ had been taking place. 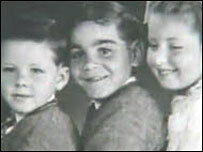 Prime Minister Rudd apologized that there were “up to” 50,000 children stolen. Bringing Them Home thought it was up to 100,000. Many – a huge number – must still be alive. All have suffered legal wrongs. 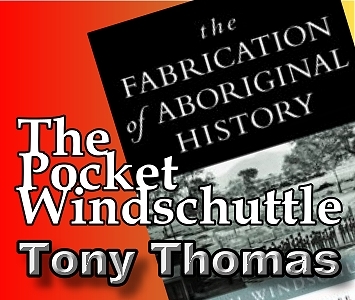 Windschuttle catalogues 19 significant court cases and reviews, mainly via the High Court, Federal Court and Supreme Court, involving Stolen Generations. Apart from Trevorrow’s Supreme Court case, there was one award of $35,000 ‘victim’s compensation’ in NSW, over a sexual assault after a woman was removed and placed with a family as a domestic. 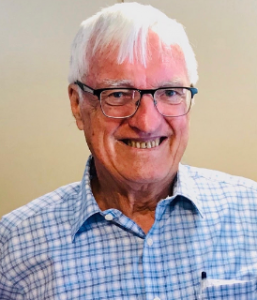 So what actually happened to Bruce Trevorrow? Joseph lacked a car and therefore had asked the Evans to do the hospital trip. The Evans provided the information the hospital recorded. However, things then went pear-shaped. A white couple from Adelaide, Martha and Frank Davies, had responded to an ad seeking foster parents for Aboriginal babies in the hospitals. The Aborigines Department advised them to see about Bruce. At the hospital they were told Bruce was neglected and abandoned, and they took him home on the same day, without paperwork. The arrangement was endorsed by a newly-appointed and inexperienced welfare officer for the Aborigines Department, Marjory Angas. Proper paperwork and licences for the transfer were done six weeks after the handover. Bruce’s true parents Thora and Joseph did not visit him in the 12 days Bruce was in hospital. Angas lied to them during the next six months about Bruce’s health and earlier transfer to white adopters. His adult life and relationships/marriages continued as dysfunctional, including domestic violence. Justice Gray attributed the prime cause of Bruce’s sorry history to his enforced removal as a baby from his parents. The sister within a year sought to commit the boys to the Aborigines Board, but Joseph refused to consent and sent them back to Thora, whose current marriage was now ‘turbulent and violent’. Her husband bashed her so badly while he was drunk that he served time in prison for it. The two brothers then went back to Joseph. 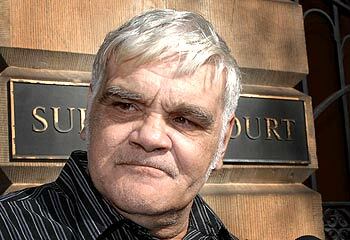 Was Bruce Trevorrow one of the Stolen Generations? The facts of the case above are analysed by Windschuttle against the ‘stolen generation’ thesis of permanent wholesale official removal of half-castes to destroy their Aboriginality. He finds the exact opposite – the case disproves the thesis. Bruce’s half-caste siblings were not ‘taken’, even despite their torrid home background. One did spend six months in a ‘home’ as a result of truancy but like Bruce, was re-united with his mother by the same welfare officers who removed him. Windschuttle suggests that Aboriginal welfare officers were at times so concerned at conditions under which children were living in shacks and camps, that they took some children illegally into institutions and foster homes. In October 1958 the Board’s secretary ‘confessed’ in a confidential note, that since about 1939 , some 300 such children had been removed. p600 Bruce would be one of them. Is it possible that Bruce Trevorrow has Foetal Alcohol Syndrome ? No, it wasn’t recognised back in 1957, but illnesses etc. don’t come into being merely because they have been given a name. It may have existed across Australia long before it was described and given a name and may have been involved in many cases of removal. Since everybody who was removed would hav e a file in their State Archives, a skilled nurse could recognise the symptoms of FAS in many cases ? All people have to do is find their files and present them to a court if they wish to be counted as part of a ‘stolen generation’. How many have done so ? One. Bruce Trevorrow.